Rail transportation of passengers and freight requires specialized facilities, operating practices, and control systems to safely and efficiently move trains from origin to destination. 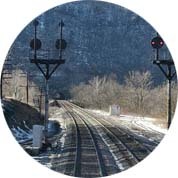 This course covers railroad traffic control and signaling systems. 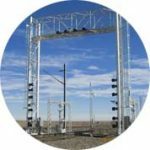 The course begins with review of train resistance, power, speed and acceleration calculation and then covers stringline diagrams, train scheduling and train stopping distance calculation. Concepts of temporal and spatial separation of trains to ensure safe and efficient use of equipment and infrastructure are introduced. 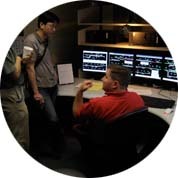 Principal topics include train movement authority, track circuits and other train position monitoring systems, train control systems including: radio-based, wayside signals, cab signaling, positive train control (PTC), and special problems with interlocking design, operation, and control. Line capacity analysis is introduced along with the economics of traffic control systems. There will be field trip(s) to observe signal system infrastructure and a railway traffic operations control center. CEE 410 is typically offered in the spring semester.